The Balinese culture is a beautiful expression of devotion, ritual, joy and simplicity. Throughout our time together we will explore the culture, some of the beautiful temples, the lifestyle, rituals and offerings, and dance that the Balinese so brilliantly display. Our cycling adventures provide an intimate experience through the more remote and sacred places around Bali. Our biking will be for all levels, with daily support in our van for those who need a break or want to take the day a little slower. A private located just minutes from Ubud, Bali’s enchanting cultural and spiritual center. The Villa rests atop the lush Kendang River valley in the charming rural village of Selat. This thoughtful integration of natural wonder with modern comfort endows Villa Selat with a peaceful harmony unlike any other. deepen your yoga practice with daily vinyasa and yin yoga. 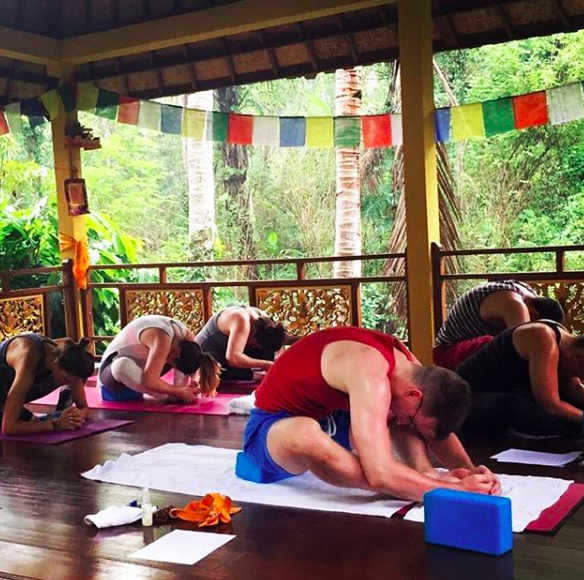 Our yoga classes are designed to meet the needs of all levels of practice. Enjoy the bailinese views of green rice fields and luminous tropical plants and flowers. Take in the beauty and breath as a tool to enhance your experience and pleasure. Savor the wonderful adventure with your body, mind, and soul. 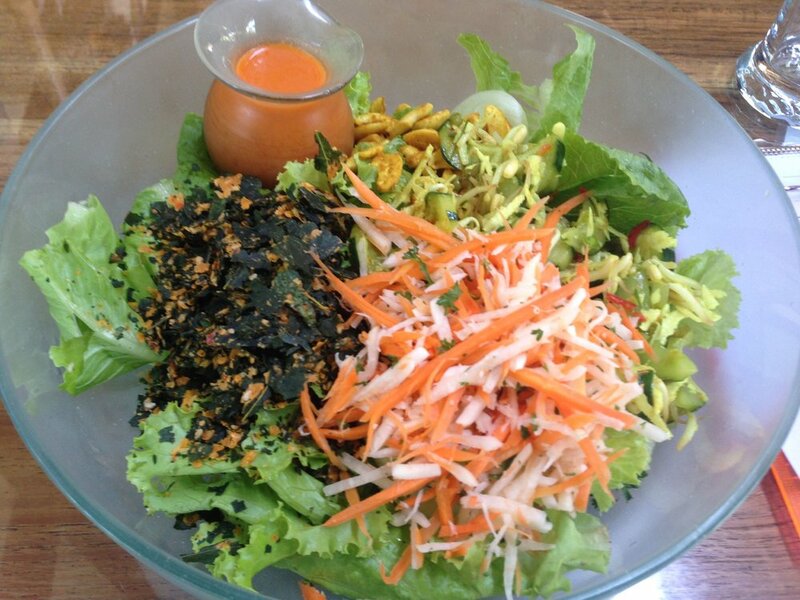 The food at Villa Selat is freshly made, Balinese inspired and organically grown. We can accommodate various eating styles and handpick our menu to match the needs of our participants. There is an onsite juice bar, with daily specials and superfood snacks available between our group meals. 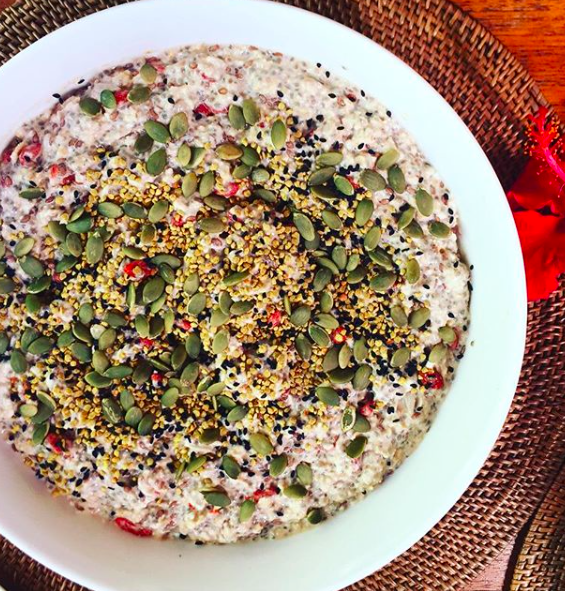 We can guarantee that through our daily meals you will be satiated, energized, and nourished – body, mind and soul. This retreat is an adventure of a lifetime. We have travelled through Bali multiple times and between the two of us we are here to answer all of your questions. Click the button below to set up a time to chat with us and join us in Bali.